ADAM elements, a leading smart lifestyle solutions brand, is excited to showcase its latest version of iKlips – the iKlips DUO. The manufacturer will be hosting hands-on demonstrations from 31 May until 4 June in the World Trade Center venue at booth B0403 in Hall 1, making it easy to come meet the entire team in person. In addition to the iKlips DUO, ADAM elements will be showing its other developments, including the anticipated GoHealthy family health monitoring system. If you became attached to iKlips, you will love what the new iKlips DUO has to offer. It is a design that has been perfected by being more practical, with a redesigned body to fit even more iPhone and iPad cases. With a silicone body sleeve for added protection, losing connector caps is now a thing of the past. 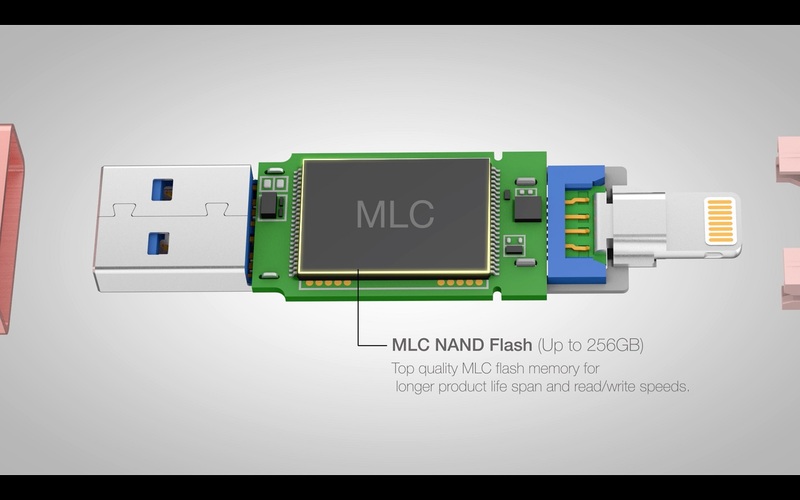 Produced with top quality MLC flash memory, it has the world’s fastest flash memory for iPhone, iPad, and iPad Pro. In addition to enabling greater speeds, it provides greater stability and a longer lifespan. Furthermore, with its high-grade brushed aluminium body, you will want to use it as often as possible. It is gorgeous to hold and thanks to iKlips 2.0 App, it is easy to use. iKlips 2.0 is the other half that makes iKlips DUO even better. It features 3D Touch support, multi-select, Split View, password protection, Drop To, and even integration with Apple’s Music app to access your iTunes purchases. Now all your music, photos, videos, work projects, Adobe files, and all your other creations can be securely shared between devices – iPhone, iPad, iPad Pro, Mac, PC, or Chromebook. Having the ability to organize, store more and share on the go with friends, family, and colleagues gives you the power to do more. 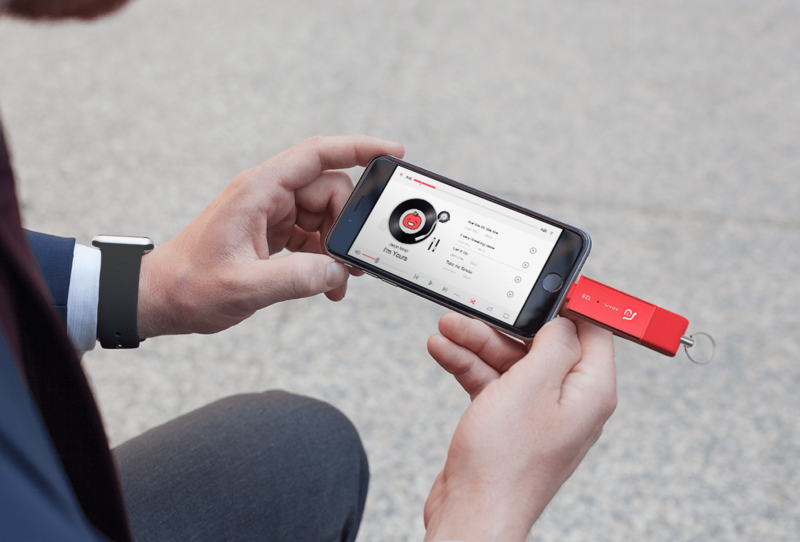 iKlips 2.0 is the way you will want to manage your device – easily. From 31 May until 4 June, ADAM elements will be in the World Trade Center venue at booth B0403 in Hall 1 at this year’s COMPUTEX. The manufacturer invites you to meet the team and see the complete product line-up, including the iKlips DUO and the GoHealthy mobile health system. For more information, please contact ADAM elements using the details below. 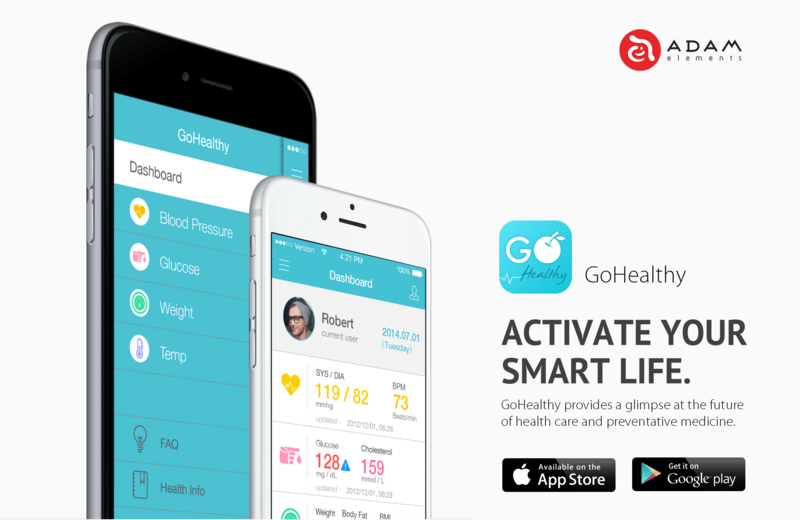 While debuting at COMPUTEX 2015, GoHealthy promised to revolutionise family and professional health monitoring by combining an advanced mobile health app with a comprehensive range of smart Bluetooth health monitors. ADAM elements is proud to come back this year with two new models which, when used with the GoHealthy App, allow users to track health trends, set goals, create alarms, share data with family members, and send medical alerts. 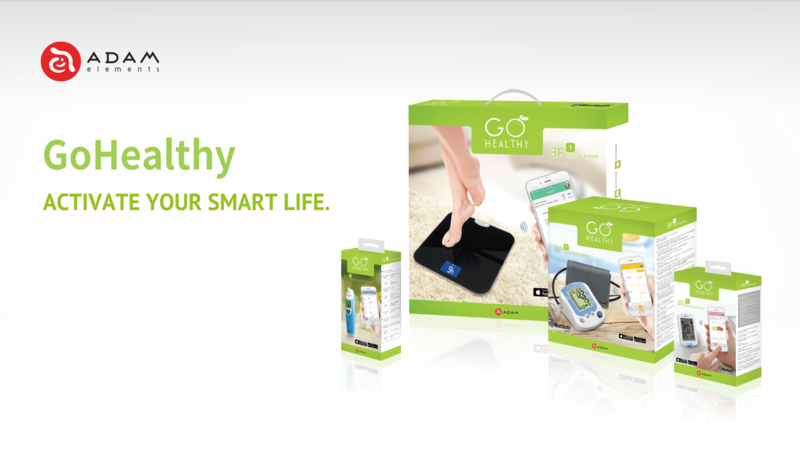 This year’s GoHealthy Bluetooth 4.0 devices include the GoHealthy Body Fat Monitor (BF1) and the GoHealthy Blood Pressure Monitor (BP1). Managed by the GoHealthy App (available for Android and iOS), users can monitor accurate health information in the palm of their hand. The app’s intuitive interface allows individual self-health management with features including trend analysis and automatic health targets. Privacy also played a key role in the development of of GoHealthy. Health data is transferred encrypted between the user’s smartphone and GoHealthy devices. It can only be accessed using the GoHealthy app and with the user’s password.